Luneta Ice Cream was launched in 2015 by the couple Rhea Topacio and Dennis Rogacion. 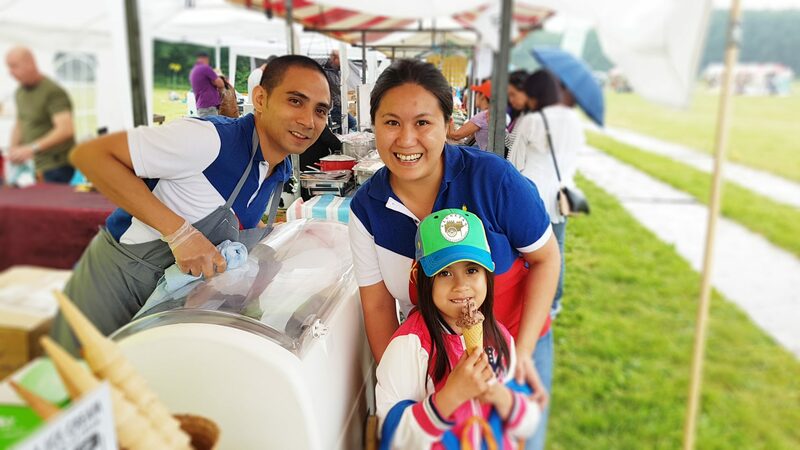 It is the first Filipino Ice Cream made in Europe available at selected retailers, restaurants, events and catering services in the Netherlands and Belgium. It showcases the world-class tastes of Asian and exotic frozen dessert that conveys the feeling of tropical goodness in every scoop. With the growing market, Luneta Ice Cream is aiming to serve more countries worldwide. “We want to offer everyone, Filipinos and Europeans alike, the kind of food that makes someone feel good. Our products give you that cozy feeling, whether you are having a bad day or enjoying a good time. For our Filipino customers, it gives them a sense of being home, a reminder of how home food tastes and feels like.” says Rogacion. Rhea Topacio is marketing practitioner with a passion for food development and graphic designing. She began her professional career as a Marketing Assistant for Mod.Net.Ph Internet Infrastructure Philippines in the Philippines. Afterwhich, she continued practicing marketing with Air21, handling Ads, media and public relations. She then shifted to corporate area sales executive for FedEx GSP, Airfreight 2100 Inc. In 2004, she transferred to Mail and More Business Services Inc.— FedEx and Air21 Retail, managing Retail Operations, IT, Marketing, HR, Quality Assurance, Customer Service, Talent Acquisition, Special projects and company synergies for 200 outlets nationwide. In 2010, she migrated to the Netherlands to be with her husband Dennis Rogacion and to raise their daughter Rheaen. She then engaged to more Filipino-focused industries as she became the Area Representative for Amsterdam and nearby areas in 2011 for LVM Cargo Balikbayan Cargo Forwarder. With her natural passion to learn new things and face new challenges, she and her husband made their company Dea Chocolates (now Dea Enterprise) into full swing with home-made cupcakes called Taartini Designer Cupcakes. This new venture majority caters pretty sweets to weddings, birthdays, company events and of course as personal comfort food. After baking and serving more than 18,500 beautiful designer cupcakes in Netherlands Randstad, she wanted to return to her passion in Marketing and PR. On the side, she then joined The Filipino Expat Magazine in 2013 as an Advertising Manager and freelance graphic artist. With knowledge in the Filipino market, retail operations, and food industry, Rhea and Dennis thought of making a product that the Filipinos miss and the other nationalities would love. In 2015, Luneta Ice Cream was born. Rhea aims to position Luneta Ice Cream in the global scene serving millions of overseas Filipino immigrants and workers and at the same time promoting the Filipino cuisine to other nationalities. Currently, she is focusing her expertise as the Managing Partner of Luneta Ice Cream and the owner of Red en Company Marketing Services. Dennis Rogacion is an expert in logistics and production of Luneta Ice Cream. Currently employed as a Procurement coordinator for an IT company, his expertise with contract negotiations and purchasing facilitates efficiently in the operations of Luneta Ice Cream.